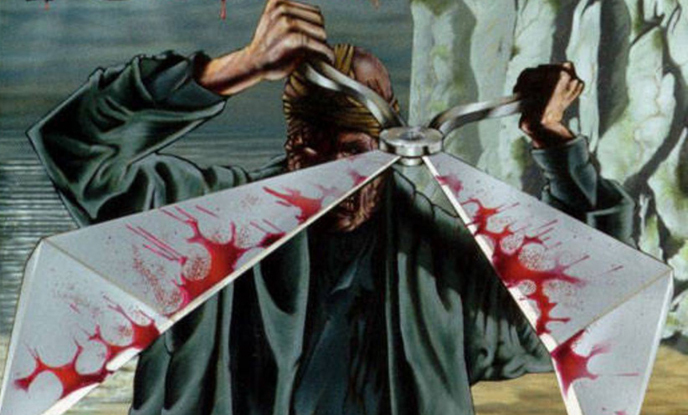 The slasher genre is a horror staple. It’s no surprise, then, that it’s well represented across various mediums. 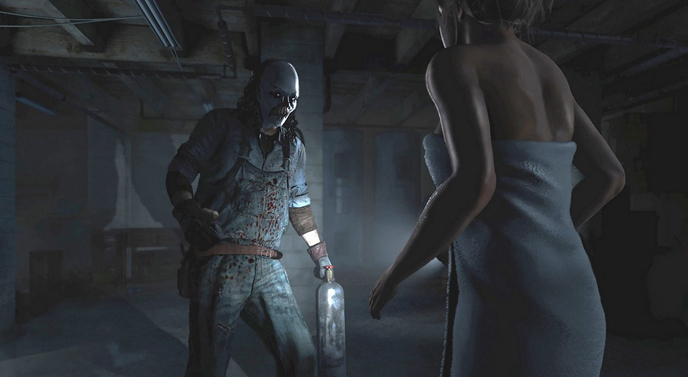 There have been several high profile slasher games over the years. Some of these have been straightforward adaptations of film properties, while others have been original creations made exclusively for the videogame format. Regardless, they all share the same basic tropes and premise: with a powerful antagonist hunting down and slaughtering individuals in gruesome and creative ways. 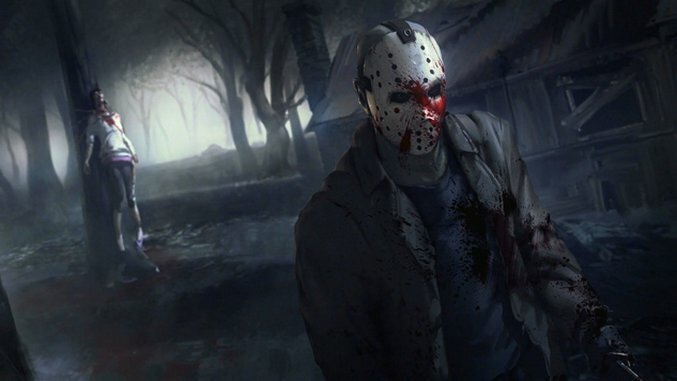 To coincide with the release of the new Friday the 13th game on Windows, PlayStation 4, and Xbox One, I’ve decided to look back through some of the scariest slasher titles ever released, to see how the genre has been handled in videogames. 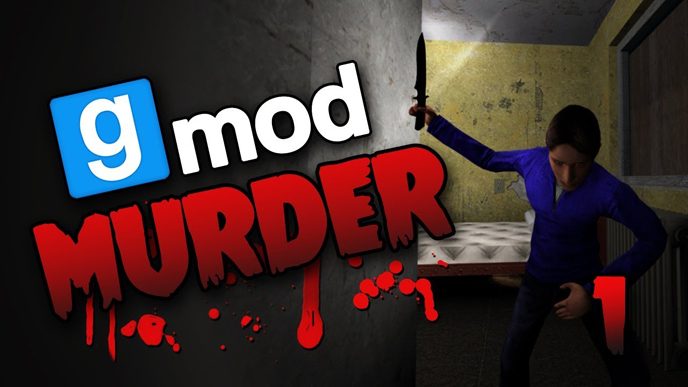 The first entry on the list is GMod Murder, a downloadable mode for the sandbox title Garry’s Mod. It’s an online multiplayer experience that positions one player as a murderer, another as a sheriff and the rest as innocent bystanders, inside source engine maps.. In this mode, it’s the job of the murderer to track down and kill all the other players, before the sheriff can decipher who’s guilty and shoot them. It’s a tense and frightening experience, made even more so by the bystander’s vulnerability and the murderer’s capacity to see everyone’s footsteps. It may not have the most terrifying visuals, but that doesn’t matter because of its stressful premise and nail-biting encounters. Until Dawn starts off like most slasher films, in that there’s a bunch of teens hanging out in a cabin in the woods with a killer on the loose. However, it later develops into something with a lot more depth than your average b-movie, poking fun at the genre and subverting expectations with its numerous twists and turns. Its greatest achievement is arguably its butterfly effect mechanic, in which players can affect the story through their actions. This leaves you constantly on edge, as you know that any wrong move or missed prompt can result in a premature and horrific death for one of the characters. Until Dawn is a terrifying game that understands how to unnerve and shock its audience. It takes inspiration from horror cinema and channels it into something that feels remarkably fresh and scary, with the introduction of neat new mechanics. Released as Clock Tower 2 in Japan, the North American and European Clock Tower is a point-and-click adventure game for the original PlayStation. It focuses on the high school student Jennifer Simpson, criminal psychologist Helen Maxwell and their research into the mysterious Scissorman, a serial killer that uses shears to murder his victims. The game has many features that contribute to its unsettling atmosphere: the panic mode being chief among these. It reflects the fear the player character feels and impacts how well they can evade the Scissorman and how much damage they can endure. When the Scissorman is close, the screen will freeze, prompting the player to button mash. If they fail to do this, they’ll be attacked, but they’ll get away, changing the color of their cursor to red. This indicates the next attack will be fatal. Clock Tower is an intense game of cat and mouse, with lots of interesting concepts and a disturbing antagonist that successfully rivals its big screen counterparts. I’ve voiced some concerns with Outlast in the past, primarily because of its stigmatizing depiction of psychiatric hospitals and those with mental health issues. Nevertheless, it’s still a good example of a videogame slasher and incredibly effective at eliciting a sense of panic and fear from its audience. 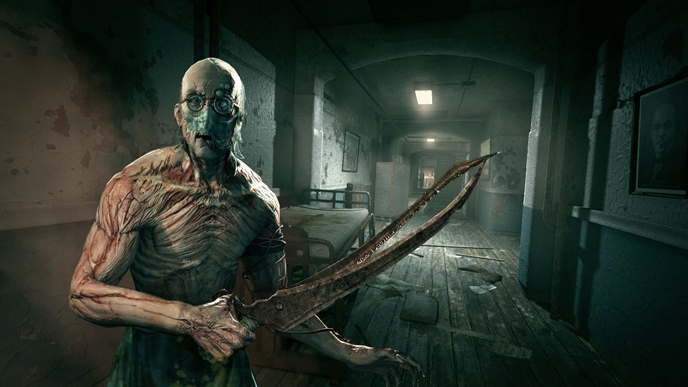 Outlast achieves most of this through its limited first-person perspective and lack of weapons. Players are often cast into dark and dangerous environments, with only a video camera standing between them and death. It’s these limitations and the idea of what may be lurking just out of sight that builds an uneasy atmosphere for the player. That, and the abundance of gore and the prospect of being on the receiving end of it. This entry is a bit of a cheat, as Resident Evil 7 isn’t a slasher game for the most part. However, the Jack Baker scenes in particular draw from the genre, with the family patriarch exhibiting both supernatural strength and a laser focus on our main protagonist in the same way as Freddy, Jason and Michael Myers do on their victims. Much like Outlast, the first-person perspective is used to generate most of the scares in the game. It limits your field of vision, meaning you can’t keep up with Jack Baker’s location, as you move around the dilapidated plantation attempting to collect items and unlock doors. 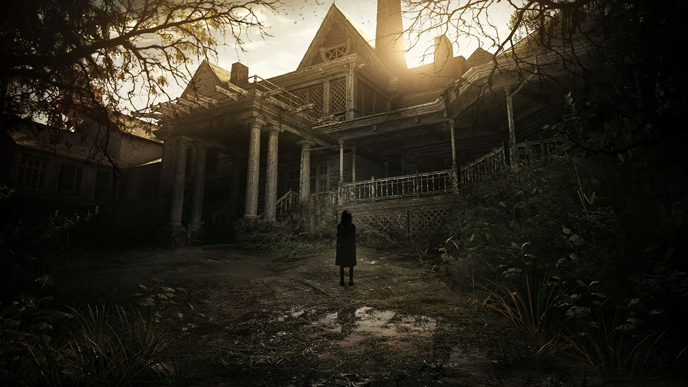 While later parts of Resident Evil 7 are heavily combat-based, the first couple of hours are ripped straight from the Texas Chain Saw Massacre and other similar films. It’s this influence that makes playing the opening so damn scary to walk through. 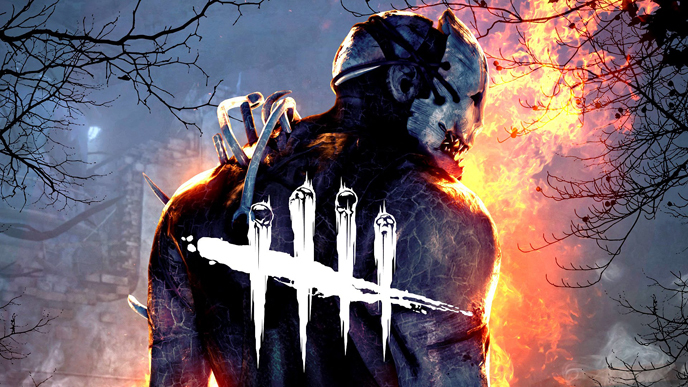 Dead by Daylight is another asymmetrical multiplayer game, pitting a murderer against a group of survivors. The goal of the survivors is to escape the play area before they’re killed. This can be done by repairing four generators around the map or locating a trapdoor. There are nine survivors to choose from in total, each with their own unique perks unlocked by earning and spending bloodpoints. These abilities give players a burst of speed, the ability to sabotage meat hooks without tool kits, and make less noise. On the other side of things, there are seven playable killers, one of which is Halloween’s Michael Myers. These characters also have special abilities bought through earning blood points, containing perks like invisibility, faster action speed and greater hearing. Dead by Daylight understands what makes the slasher genre so great — namely violence and dread — and leans into these aspects to provide a faithful recreation for players. 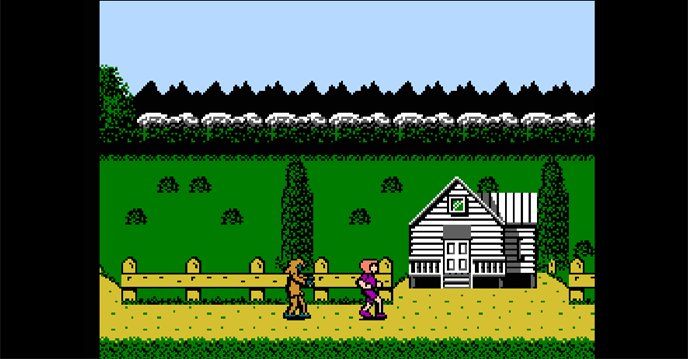 Friday the 13th for the NES isn’t a good game. It’s difficult, confusing and extremely unfair, but that doesn’t make it any less terrifying to play. Players control one of six counselors at Camp Crystal Lake, with the aim being to protect the children and other counselors while avoiding Jason Voorhees and his infamous machete. Along the way, you collect items to help you fend off the notorious killer, as well as battle zombies, birds, and wolves with the weapons you find. It’s a challenging game, further complicated by a misleading map and poor balancing. Here’s hoping Illfonic is a little more successful with their own spin on the franchise. Already it looks a lot more promising, comprising of an asymmetrical multiplayer experience with a campaign mode launching at a later date.